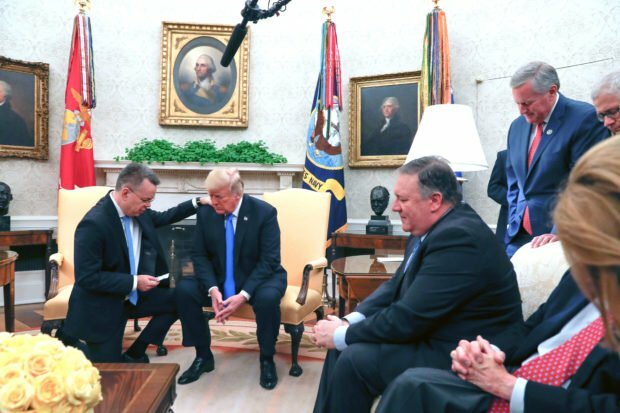 Pastor Andrew Brunson, freed from Turkey following two years of imprisonment, prayed with President Trump during their Saturday Oval Office meeting. “I want to pray that the spirit of the Lord would rest on the president, the spirit of wisdom and understanding, the spirit of counsel and might, the spirit of knowledge and fear of the Lord. Amen,” Norine Brunson prayed. After thanking them, President Trump jokingly asked who they voted for. “I would like to say that I sent in an absentee ballot from prison,” Brunson quipped as the crowd laughed. 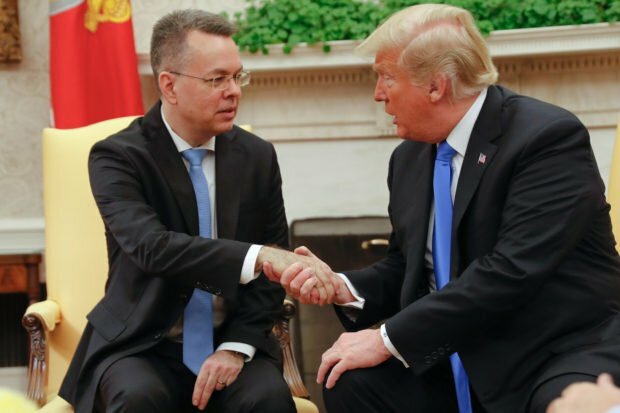 During their White House meeting, Brunson thanked Trump and his administration for their role in securing their release.